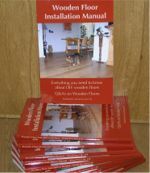 This is a dedicated page where you find everything you need to take care of your natural wooden flooring, the easy way. each product tells you for which finish it is suitable: oil/wax finish, varnish/lacquer finish or for all finishes (you can read the full description of every product by clicking the name of the product). add to bag the product/products you require, and your shopping bag - the icon on the right of your screen, which can be moved around too! - will show the number of products selected. select payment option and add billing details. Or if you created an account with us, simply sign in to use your default address. The ordered products are dispatched per courier and arrive at your home normally in 2 - 3 days time.